The goal was to incorporate all design know-how into the development of the Lagrange 98. This loudspeaker had to feature phase-correct sound radiation, absolute adherence to detail, a linear frequency response, outstanding cone outwards movement and the best available components. 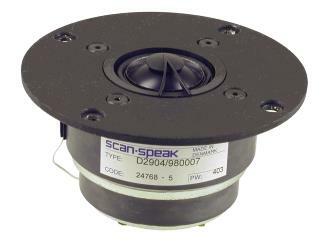 We chose the magnetically shielded version of the Scan-Speak D2904/9800 and for bass the Alcone AC 5.25, a driver with a rigid cone, yet a good cone outwards motion. 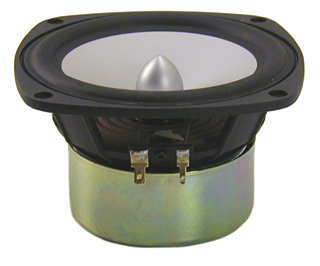 The Seas Excel W15 CY 001 was also a contender, however, this driver doesn't allow a 6dB separation on the crossover due to the more pronounced resonance. Considering the above mentioned characteristics the Lagrange 98 comes close to the ideal solution regarding development and lab results. 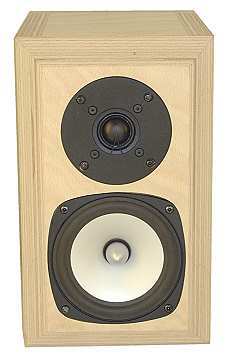 Therefore the Langrange 98 is - besides the Angara 2 - one of the speakers most consequently developed towards High-End. The Alcone Lagrange 98 is available as satellite or floorstanding version. picture of double magnet to the right. 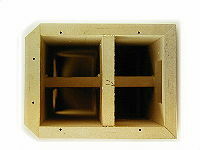 A floorstanding instead of a shelf speaker should be used when a low bass is required and a subwoofer is not available. To avoid unwanted intrinsic resonance the cabinet should internally be braced with two crossing boards, both positioned off-centre. Cabinet resonance is always unwanted, unlike with most musical instruments. The combination of speaker drivers the construction design chosen results in a loudspeaker of exceptional price/performance ratio.